Mercer Wisconsin is located in the Southern part of Iron County. It is often referred to as the "Heart of the Northwoods!" On any given summer day, you can hear the sound of the loon's cry, see the deer along the shoreline of over 200 lakes, ponds and rivers. The Turtle Flambeau Flowage area known as "The Crown Jewel" offers over 13,545 acres of waterway and is the largest body of water in Iron County, Wisconsin. If this is the atmosphere you're looking for, we can help you find the real estate of your dreams. 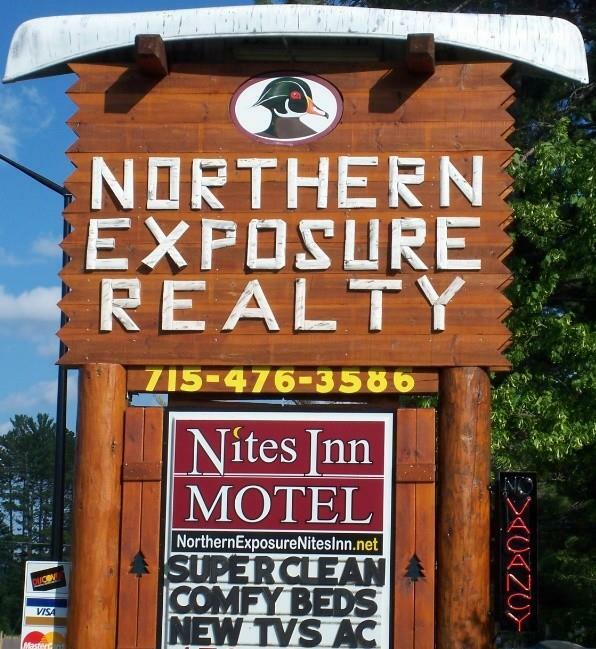 Northern Exposure Realty offers 34 years of real estate experience in Mercer, Turtle Flambeau Flowage area, Oma & Sherman, Wisconsin. Our full time professional agents provide quality service with a personal touch. We specialize in lakefront properties, acreage, off-water properties and commercial so whether you are buying or selling real estate, put us to work for you! Feel free to browse our our listings or fill out a listing notification and have listings instantly emailed to you! Fill out a home evaluation form and see what your property would be worth in today's market. Please contact us with any questions or feedback.